As the Bad Seeds take to Latitude, violinist and guitarist Warren Ellis talks shoes, socks and beards. You don't want to be a mod, he tells the Quietus. 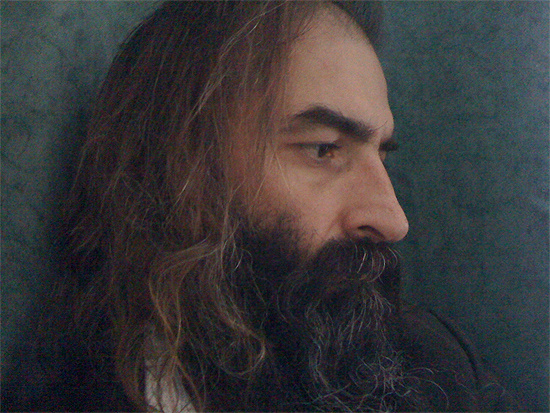 Warren Ellis pic courtesy Warren Ellis. There came a certain point where I started looking sloppy, and it didn't really suit my age. I like wearing something smart, as opposed to looking like a mess. I had a big clean-up in my life, and it all sort of came around the same time. It helps to focus. And in the Bad Seeds, I always wear a suit. If you get up in the morning and feel like you look alright today, if feels like you've got off on the right foot. I used to always wear a t-shirt and jeans, or flares or something like that. I've always liked slip-on polished shoes, and watches. But there was a certain point where I certainly felt like I couldn't wear t-shirts. I liked shirts, but I always cut off the collars because they got in the way when I was playing. ...The full version of this article is available in Point Close All Quotes: A Quietus Music Anthology. Buy it now in the Amazon Kindle store.